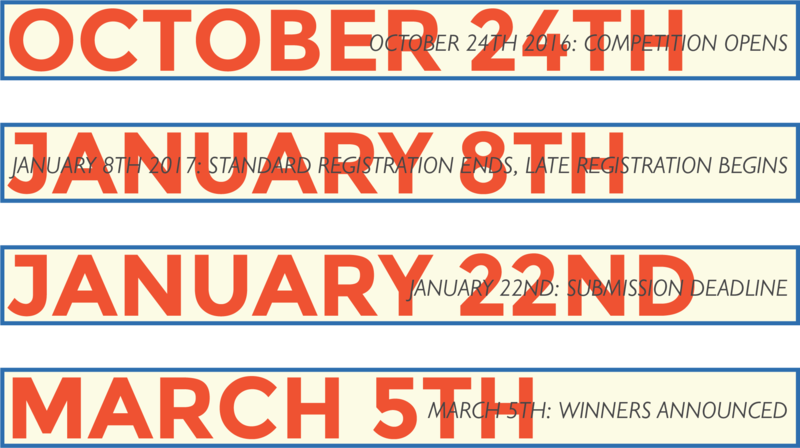 The competition opens on October 24th, 2016. The registration fee is £50 until January 8th, 2017, when standard registration ends and late registration begins (fee £70). Last day of registration is January 20th, two days before the submission deadline, which is on January 22nd. Winners will be announced no later than March 5th. Please note that all deadlines are 23.59 GMT.